The first thing that comes to mind about Antarctica is not likely food. But if you are going to spend any time there it should be the second. Whenever adventure beckons, an open mind and a full stomach are necessities. In 1996, several volunteer groups arrived at the Russian research station in Antarctic for an environmental project organized by Carol Devine in collaboration with the Russian Antarctic Expedition. 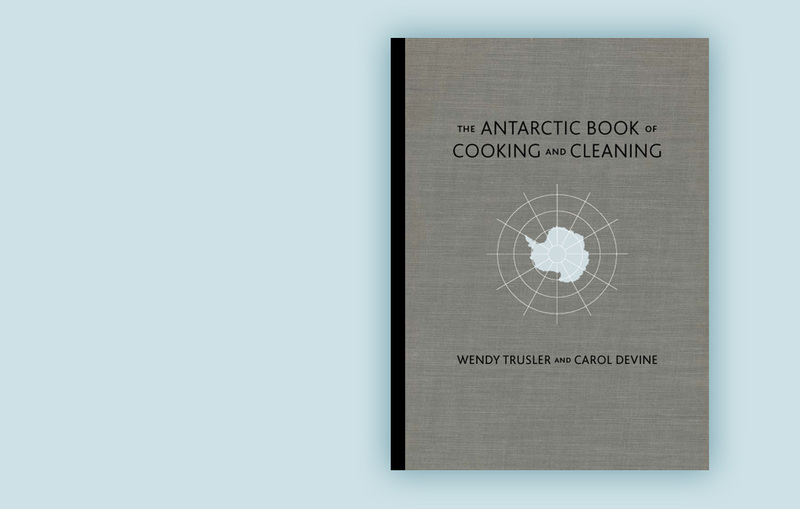 The Antarctic Book of Cooking and Cleaning is a journey through that austral summer—the story of a joint clean-up project on a small island 120 miles off the Antarctic Peninsula. But it’s also a look at the challenges of cooking in a makeshift kitchen at the bottom of the world as cook Wendy Trusler feeds volunteers in the long, white nights. 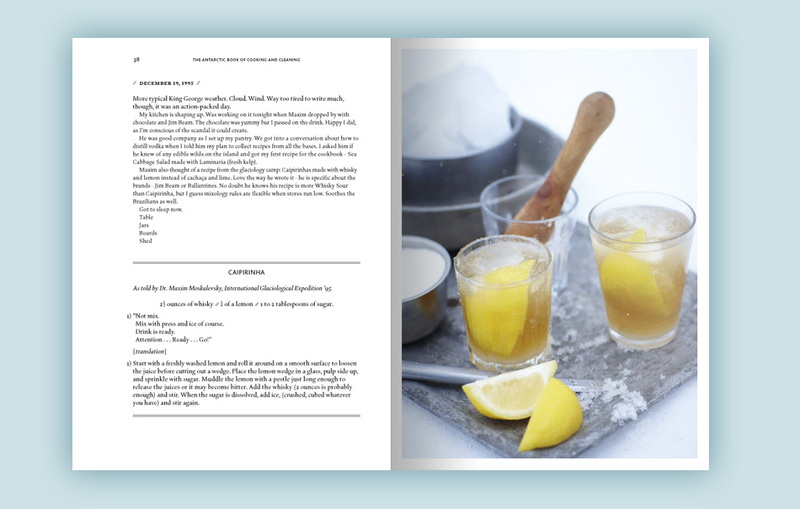 The Antarctic Book of Cooking and Cleaning pays homage to the scientists currently working in Antarctica but also the determined early scientists and explorers of this ice continent who endured unimaginable conditions surviving on penguin meat and dog paw stew. Taking inspiration from the journals and newsletters of historic polar explorers, such as Shackleton’s South Polar Times and Sir Douglas Mawson’s Adelie Blizzard, The Antarctic Book of Cooking and Cleaning draws on the journals, letters, recipes, menu plans and provision lists of Carol Devine and Wendy Trusler written from December 1995–March 1996. 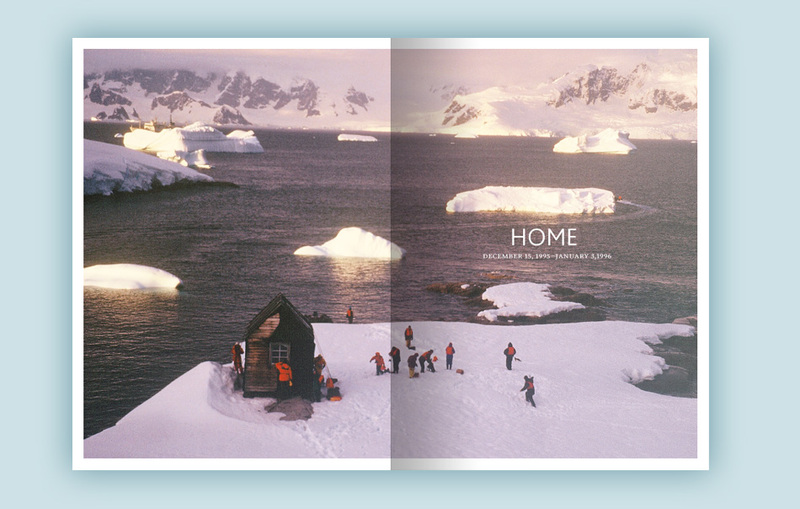 Woven throughout are modern and vintage photos and vignettes from Antarctica’s short history. 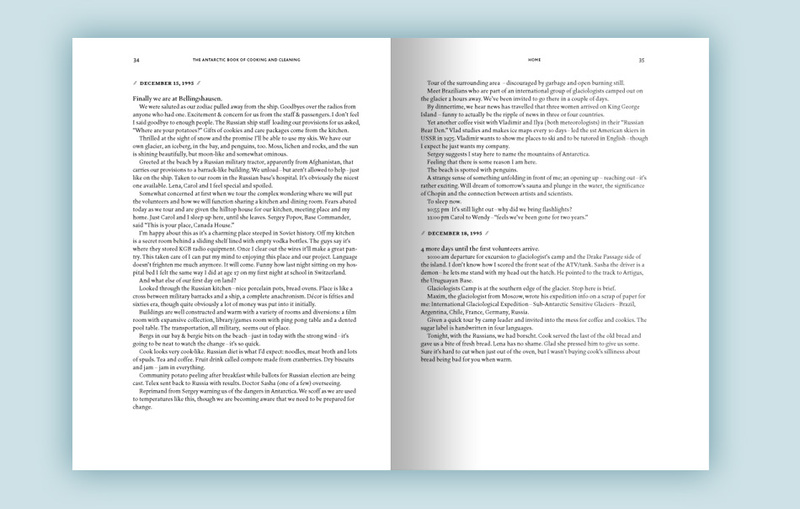 On one page, the reader joins the volunteers as they pick up rusty nails. On the next, they are in the mind and belly of Mawson, a lone scientist in 1912 in East Antarctica. The members of his sledging party have perished and he is left with little hope until he discovers a food stash left behind by previous explorers. While the volunteers of the Antarctic clean-up crew were not subjected to any meals containing penguins, Wendy Trusler met some challenging, tender and hilarious moments when cooking on King George Island. 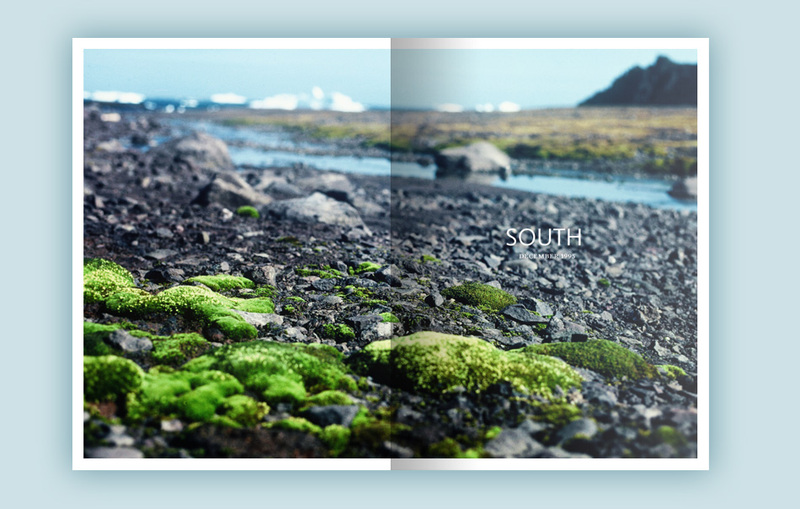 The recipes Trusler develops for the book take us on a parallel journey exploring the rawness of the expedition. 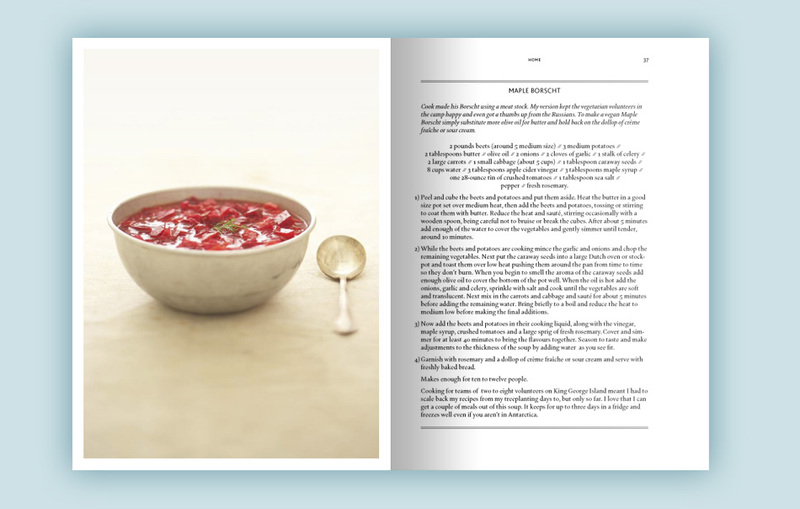 Written in a style that places the reader in the kitchen cooking alongside Wendy, with practical solutions the home cook will find relevant, they are an eclectic mix of home cooking gone international. Travelling among Russian, Chinese, and South American cuisines, Trusler demystifies large quantity cooking and offers insight into what to cook when the finest, locally grown ingredients aren’t available, and what to do when your ship, literally, doesn’t come in. 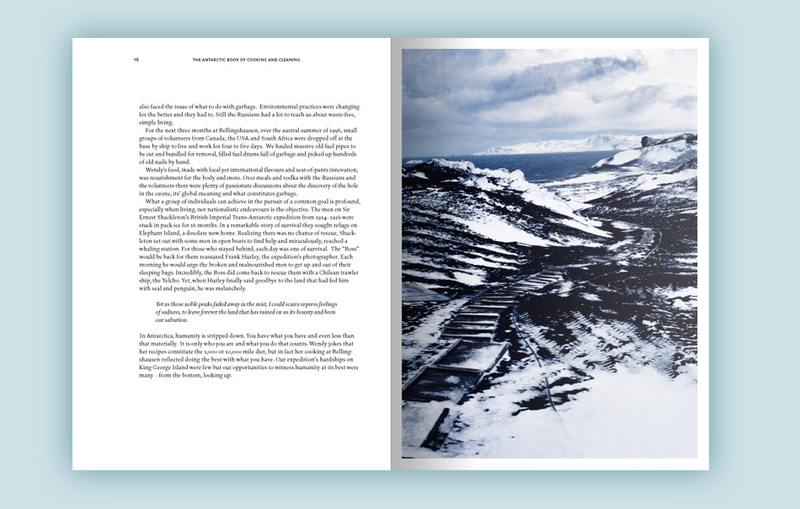 This story of Antarctica reveals the beauty and fragility of this precious continent as mirrored in human nature. Antarctica changes you. You don’t come out the same person you were when you went, no matter the reason you went in the first place. Are nations fulfilling their obligations to preserve Antarctica as a territory for science and peace? What did the Russians and others make of these “eco-tourists” and their work? 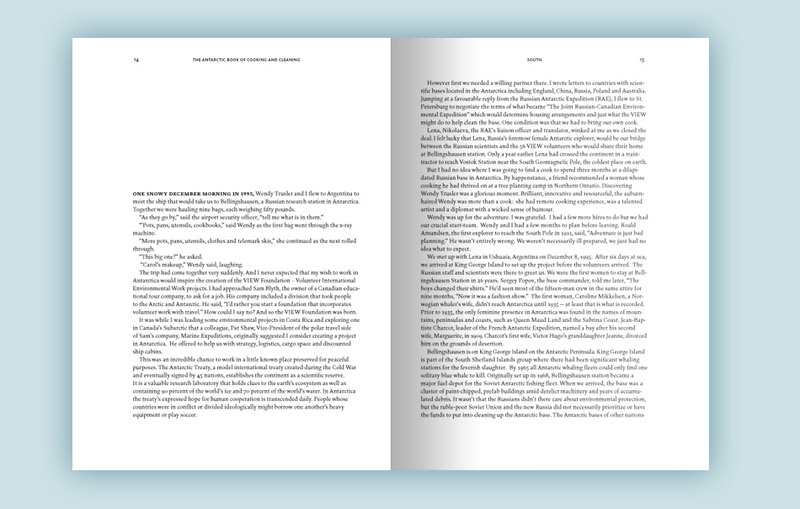 The book explores these questions and more. Apart from the small steps it took to preserve Antarctica’s fragile ecosystem, one hallmark of the 1996 expedition is that its participants came to see the continent’s exquisiteness, problems and solutions, one piece of litter at a time. The Antarctic Book of Cooking and Cleaning is a beautiful object. 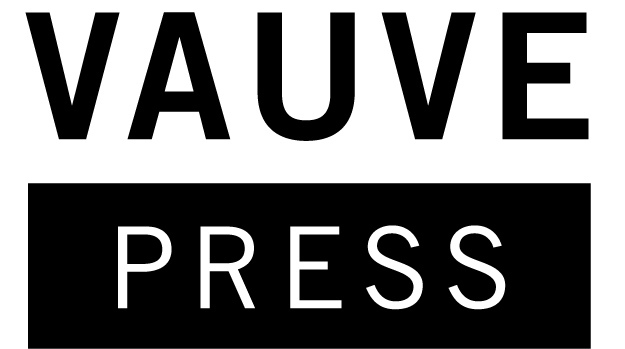 The text blends with design and photography by award-winning partners in the project who elegantly illustrate the story, transcending voice, genre and time. Evoking Bruce Chatwin’s In Patagonia and Anthony Bourdain’s A Cook’s Tour, the book mixes Noma: Time and Place in Nordic Cuisine with a dash of Like Water for Chocolate south of 60 degrees. 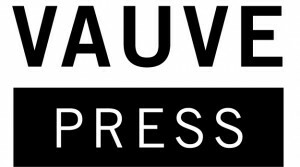 • 120+ colour and b/w archival location and food photographs by award-winning photographer Sandy Nicholson.